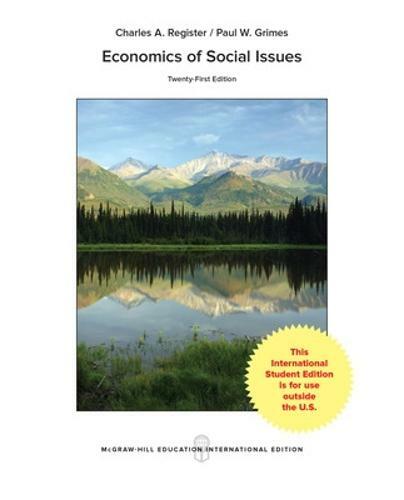 Register and Grimes' Economics of Social Issues originated the social issues approach to teaching basic economic principles and has garnered a loyal user following for its timely and impartial handling of current social issues that dominate the news. The primary objectives of the book are to create student interest in the study of economics and provide a framework of basic analytical tools useful in the understanding of social issues. This edition provides fresh perspectives on current societal trends and public debates to stimulate classroom discussion and help students learn the important basic principles of economics. Each chapter presents economic concepts then places them within the context of current issues facing society.